The Danish Home in Croton-on-Hudson, New York has again this year sent out their beautiful Christmas Stamp seal, which in 2015 is designed by long-time Danish Home graphic artist Barbara Wertheim, evocative of Danish paperklip decorations. This Danish Home tradition dates back to 1951, not quite as old as the Danish tradition with the world’s first charity seal produced in 1904. 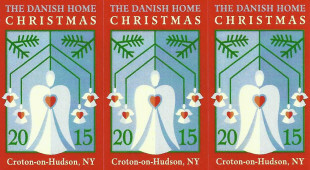 To order your 2015 Danish Home Christmas Seals, please call the Danish Home in Croton-on-Hudson today at 914-271-3052 (while supplies last). A donation of any amount will allow the Danish Home to send you a sheet of these beautiful 2015 Danish Home Christmas Stamps. You can use them for your holiday mailings or save them for your holiday memories. On Sunday, December 6, 2015, the annual Christmas Party and Open House are taking place between 2 and 4 pm. Danish and American carols are followed by delicious traditional Danish cookies and beverages made by staff and volunteers. Old and new friend can mingle and enjoy the Christmas spirit. On Wednesday, December 16, 2015, Pastor Julie Slok from the Danish Seamen’s Church will hold a Christmas service at the Danish Home at 1 pm followed by coffee hour. All are welcome. Saturday, June 4, 2016 is The Danish Home’s annual Grundlovsdag celebration in Croton-on-Hudson, NY. Learn more about The Danish Home at http://www.danishhome.org. “LIKE” US ON FACEBOOK – Did you know that you can follow The Danish Pioneer Newspaper on FACEBOOK? 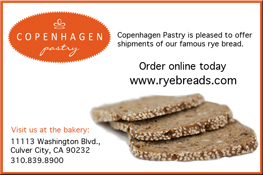 Please Click HERE and “LIKE” US to Join Our Growing Danish Pioneer Family! ABOUT THE DANISH PIONEER NEWSPAPER – SINCE 1872 – ENGLISH & DANISH ARTICLES – THE DANISH PIONEER NEWSPAPER IN ACTION: Did you know that The Danish Pioneer’s staff, editors, photographers columnists and writers help readers discover unique travel destinations, interesting films, concerts, books, theatrical works, festivals, exhibitions, sporting events, delicious restaurants, special birthdays and scholarship opportunities in the USA, Canada, Denmark & Scandinavia. Come discover more in 2015. Visit our full website at: http://www.thedanishpioneer.com.